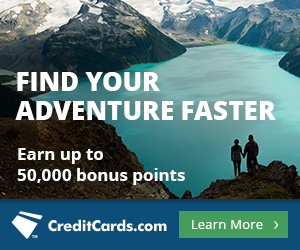 MileValue is once again offering free, personalized credit card consultations. Simply fill out the form at the bottom of this post, and we will email you back with our consultation, often within hours. Getting new credit cards is the main way to travel for free or for pennies on the dollar. But blindly getting credit cards without thinking how those cards’ rewards match your travel goals is a huge mistake. Sure I publish a top ten list twice a month, but those aren’t necessarily the top ten cards for you. This consultation will cut through the noise and tell you exactly what to do now. We will start with your goal trip and work backwards, determining the best miles and points for that trip, and then the best cards to get those miles and points. Before submitting the form, please read each question at least twice and each answer at least once. If you don’t give all the information asked for, we can’t know the right plan for you. We will simply ignore any incomplete submission. Before submitting the form, make sure you are ready to apply for credit cards in the next 48 hours. Credit card offers change all the time, so requesting a consultation that you won’t act on for weeks or months is a waste of everyone’s time. Just wait until you’re ready. Feel free to submit the form for yourself plus a loved one whose credit card applications you control (with their consent obviously), but do not submit the form for your friend. If your friend doesn’t care enough to fill out a simple form, we don’t care enough to help him. Finally, don’t submit the form if you want a consultation on something other than which new credit cards to get. Which cards should you keep versus cancel? Read this instead. How can you book a trip with miles you already have? Hire the MileValue Award Booking Service. Anything else? Contact us on twitter or by a blog comment. 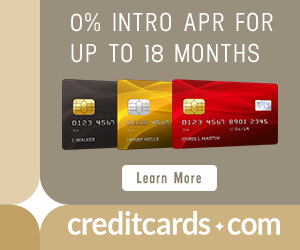 Between my wife and myself, we have pretty much all of the major credit cards (Amex Gold & Plat; Chase Sapphire Preferred; Citi Premier & Prestige; SPG; Barclays Arrival; AA, UA, Jetblue; Hilton (no fees); Marriott). Thanks to your blog’s post last year about availability for AA’s 50K awards to Europe, we are about to embark on a trip to Europe for two weeks. What is the best card to put our spend on, which will mainly consist of dining and shopping (lodging and travel have mostly been prepaid)? I don’t know BUT love my Hawaii airlines card with chip and pin in May and the 5 inter island flt. No need to deal with anyone just stick card in machine and PIN and go saved me like 3 hrs .Has a NICE (Fr.) time but B careful .